Recently, Entrepreneur ran an article promising that you can “dominate Facebook” and only spend five bucks to do so. At first blush, this probably seems too good to be true—and we all know what they say about things that seem too good to be true. But actually, the specific plan, as laid out by Entrepreneur, makes a lot of sense, and certainly offers small business owners some things to think about. We do want to offer a couple of caveats. First, the veracity of the claim hinges on your interpretation of “dominating Facebook.” You’re probably not ever going to get millions of views or a massive uptake in sales on the basis of a single sponsored post, but you absolutely can leverage your $5 ad spend to majorly boost brand awareness and generate user engagement. So, set a reasonable goal here, but also don’t be afraid to swing for the fences. The other caveat is that social media is notoriously slippery, and you can never absolutely bet on anything. User behavior is hard to predict, so it would be dishonest for anyone—including us—to absolutely promise results for any $5 Facebook campaign. Be judicious. It’s dumb to try to boost every single Facebook post, or to sink money into the most minor or trivial status update. Part of maximizing your ad spend is not spending on too many superfluous ads. Original media is key. You’re not going to get traction on a post that uses a stock photo or some other generic media—no matter how much money you invest in it. Make sure to always use original, compelling photos and videos that unmistakably reflect your brand and your voice. Know who you are targeting. Precision targeting is essential to Facebook marketing success. You can target your ad to people who already like your brand, which may boost your likes but won’t get quite as much exposure with new customers and clients. Alternatively, you can choose to show your ad to people in a certain age group or other demographic, living in a particular locale, and even focus your posts on those who have certain interests or allegiances. Metrics matter. If you’re not going to measure your marketing metrics, you might as well not market at all. In particular, track your website conversions, if Web traffic happens to be one of your goals. These are all basic points of Facebook advertising, yet you would be amazed how often they are neglected. The cost to ignoring these guidelines can be steep—but if you keep them in mind, you just might generate big results for the most minor of investments! 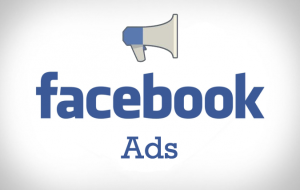 This article was syndicated from Business 2 Community: A $5 Facebook Marketing Plan? Believe It!